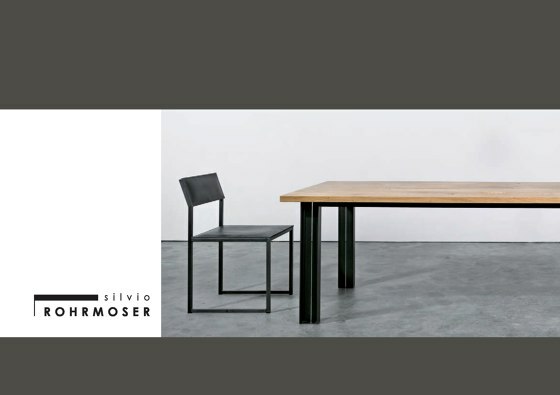 The silvio ROHRMOSER collection first presented at the Cologne Furniture Trade Fair in 2001 is now entering its eleventh year. 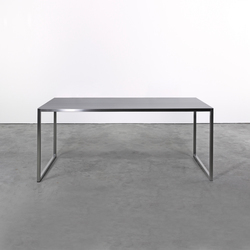 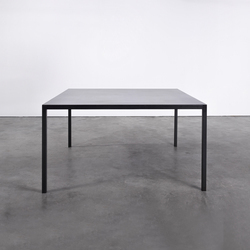 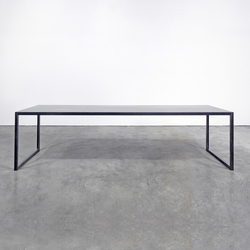 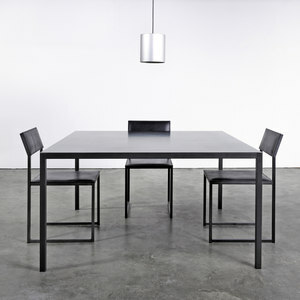 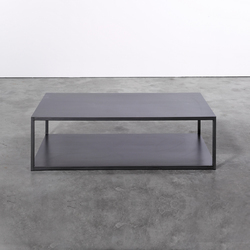 The Collection is comprised primarily of tables and chairs for indoor and outdoor use. 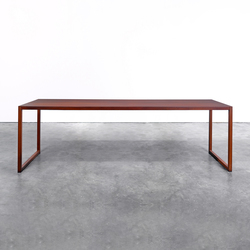 Form and function combine to achieve a timeless style and design. 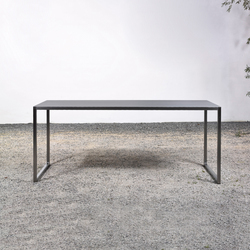 Germany are suitable for both individual, domestic environments as well as for commercial use, for example in gastronomic or business locations. 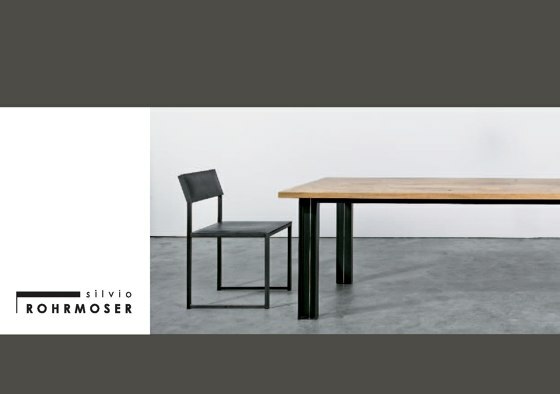 When Germany hosted the football world championship in 2006 the silvio ROHRMOSER Collection of tables and chairs were chosen for the media and press centre. 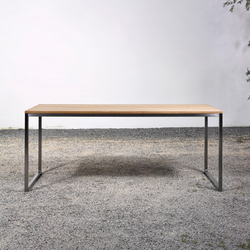 In the new models sturdy, individual types of wood are combined with selected, hot rolled steel frameworks. 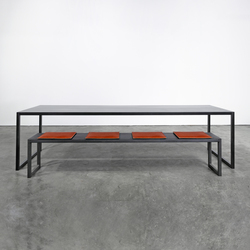 The contrasting materials guarantee the furniture its unique style. 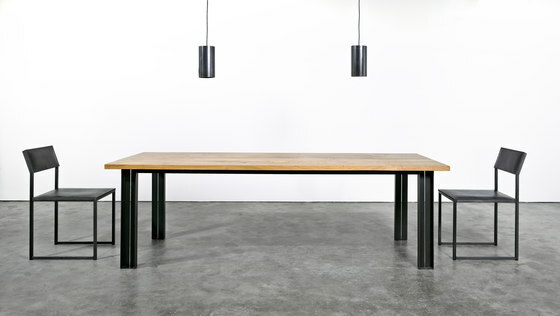 The new Collection has been extended to include high tables and sitting room tables as well as sideboards. 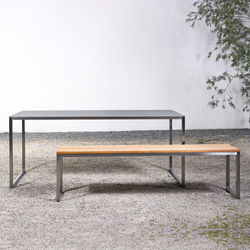 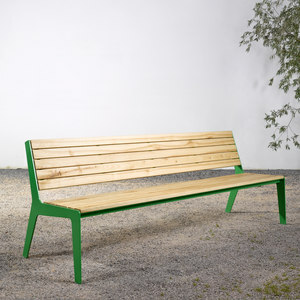 A new table and bench combination in larch wood/HPL and powder coated steel and a single garden bench complete the collection of outdoor furniture.